Oil prices closed at their highest level in two and a half years on the final trading day of 2017. The late spike was driven in part by a pipeline explosion in Libya earlier in the week. Libya's state-run National Oil Corporation said on Tuesday that the explosion jeopardized output by up to 100,000 barrels a day. The agency has not announced the cause of the blast. U.S. crude oil prices spiked 1% Friday to more than $60 a barrel, the highest close since June of 2015. Last month, oil prices jumped after the Keystone pipeline shut down following an oil spill. Still, prices remain low compared with $100-a-barrel prices three years ago. 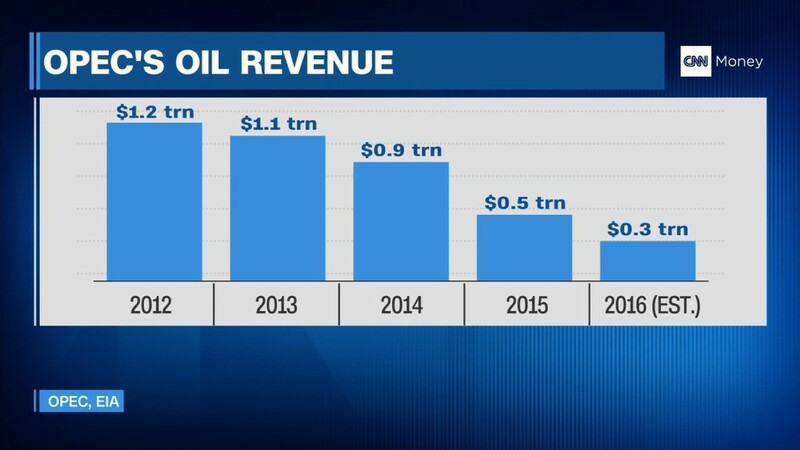 There's been a glut of oil in recent years, forcing the Saudi-led OPEC cartel to cut production. Oil crashed in 2014 and 2015 and reached a low of $26 a barrel in 2016. Prices slowly rebounded after OPEC agreed to limit production. In November, the 14-member cartel extended those cuts until the end of 2018. Libya is one of two OPEC member countries that doesn't have a cap on oil production because of unrest. With the war against OPEC halted and shale production re-energized, the U.S. is poised for record oil output in 2018.